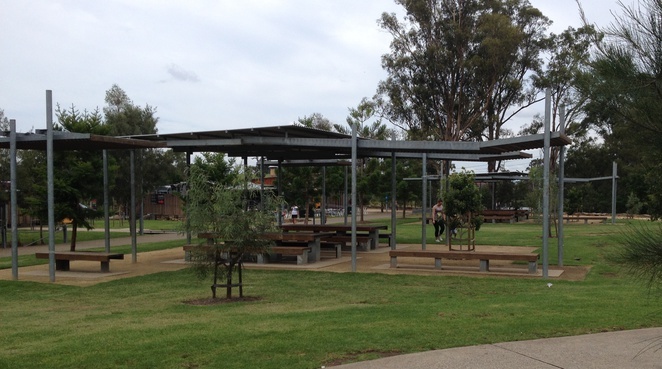 Kids of all ages will find something to do in the large playground of Plough and Harrow East, in Western Sydney Parklands. It boasts a multi-generational play area with a wide range of equipment including a water play area. 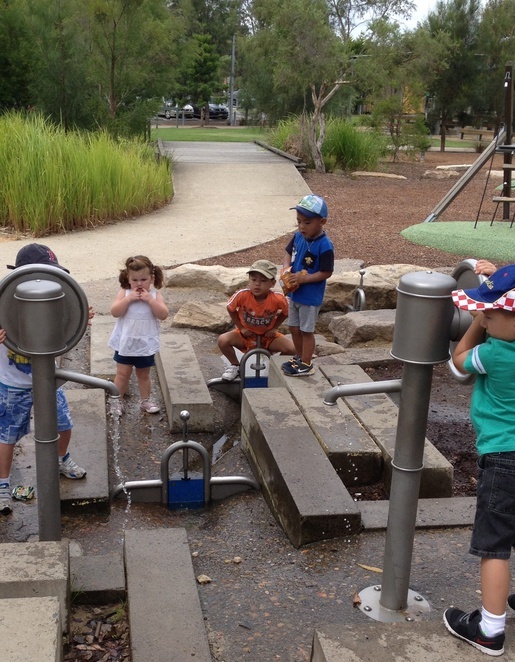 Water Play area – with pumps and taps, dams and turnpikes this water play area will keep the kids entertained for hours. It is not a large area but there is enough to keep them amused by moving rocks around in an attempt to direct the water in different ways. There are also plenty of opportunities to get wet. 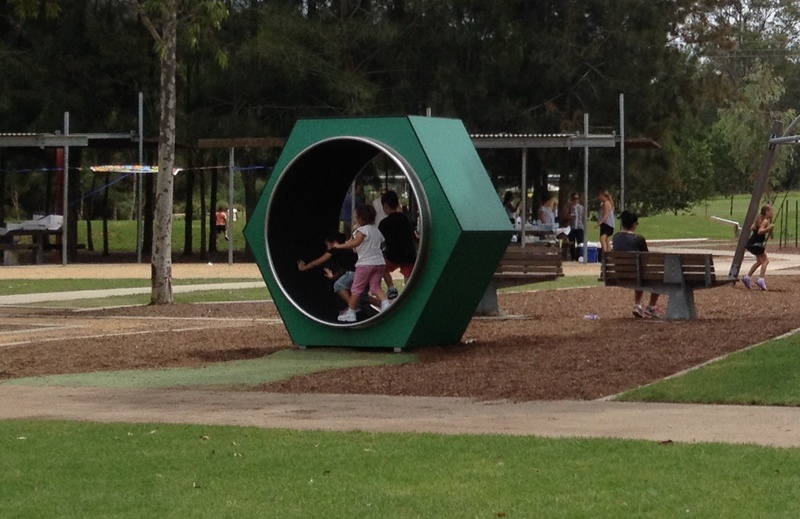 Hamster Wheel – watch the kids (and adults) channel their inner rodent as they run in the hamster wheel. There are plenty of laughs and spills to be had on this activity. Small children may need to be supervised. 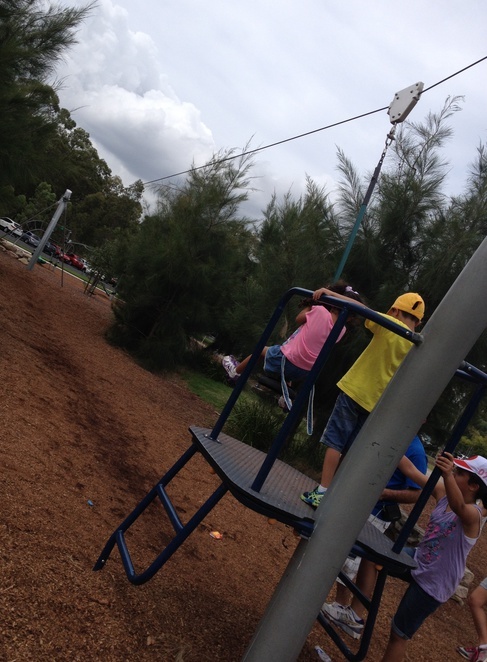 Flying Fox – another popular attraction is the flying fox. Fun for big kids and small kids alike. Pentagonal swing – Not something you see every day, this 5 way swing looks like it will cause major havoc, as 5 kids ride at the same time, but it actually works. The kids loved this swing and seeing how close they could get to each other in the middle without colliding. The playground also includes a variety of climbing equipment, giant ring swings and spinning apparatus. For smaller children there is a toddler area with smaller playground equipment near the water play area. You will also find kilometres of pathways to walk, ride scooters, bikes, skateboards, roller shoes or whatever the latest motorised craze of the year might be. For parents, there is plenty of free parking, large shelters to sit under and electric BBQs to use. Some of the shelters are free and available on a first come, first served basis. However it is possible to book particular shelters in advance for a small fee, which is great if you are planning a function. Bookings can be made online here. Toilets are also located on site. If you are planning on spending the day and don't want the hassle of BYO food and drink, then you are in luck as the Amoretti Café is located right next door to the playground. The café and restaurant serves sandwiches, pizza or fine dining in the award winning restaurant, not forgetting coffee for a quick pick me up. If all of this isn't enough then there is another option. 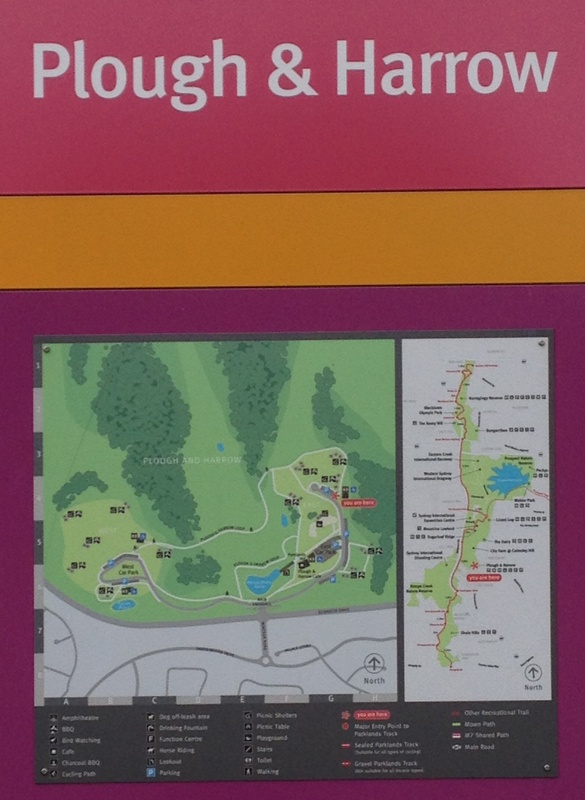 Treetops Adventure Park is located within the Plough and Harrow and has courses designed for ages 3 and up. For variety of activities and playground amenities you won't be disappointed with Plough and Harrow East. As for those wondering if the grass is greener on the other side, unfortunately I can't help you as I didn't venture over to Plough and Harrow West. We might have to save that review for another day.